The York University Magazine is York University's alumni publication. Originally launched in the fall of 2003 as YorkU, and then relaunched under its new name in the fall of 2015, it is published three times during the academic year, dated Fall, Winter and Summer. 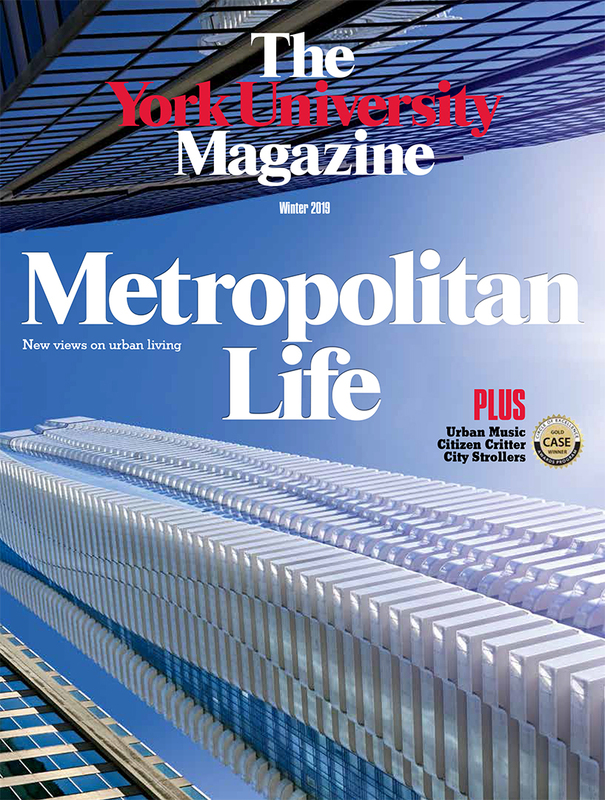 The Fall issue is printed and distributed to York alumni, donors, faculty and staff, as well as to selected business and government officials, educators, news media and friends of the University, with a circulation of more than 240,000. The Winter and Summer issues are available online only, through the award-winning digital edition. The Magazine has won numerous awards for design, writing and overall quality from the Canadian Council for the Advancement of Education and the Washington-based Council for Advancement and Support of Education.